What surgery can be done to the ear? Treatment of skin cancers or chondrodermatitis. In almost all cases these operations can be done as awake daycase surgery (local anaesthetic). In adults, this surgery is usually done as awake surgery with local anaesthetic. Children would routinely have general anaesthetic and some adult patients may prefer to have general anaesthetic also. 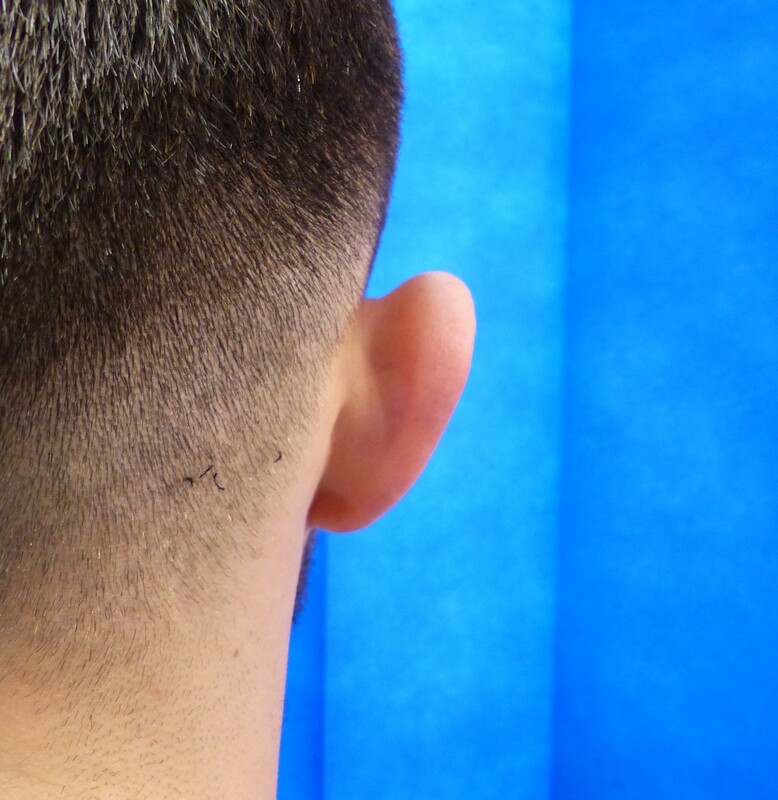 A cut is made in the crease where behind the ear where it joins the head. The resulting scar is therefore hidden from view. Immediately underneath the skin is the folded cartilage of the ear and this is reshaped by scratching or scoring its surface and / or by placing internal sutures. Occasionally a portion of cartilage is removed. Once the skin is stitched, dressings are applied. A bandage or a headband is then worn for a week. Thereafter, a headband is worn at night for a further month. You can go home the same day and you should have a quiet week at home especially if you do a strenuous job. There will be some discomfort, bruising and swelling which should mostly be settled by 3 weeks. You should avoid traumatising the ears in any way for at least 6 weeks. What problems can occur with Pinnaplasty? It is impossible to eradicate all risks from surgery but serious surgical complications are uncommon. 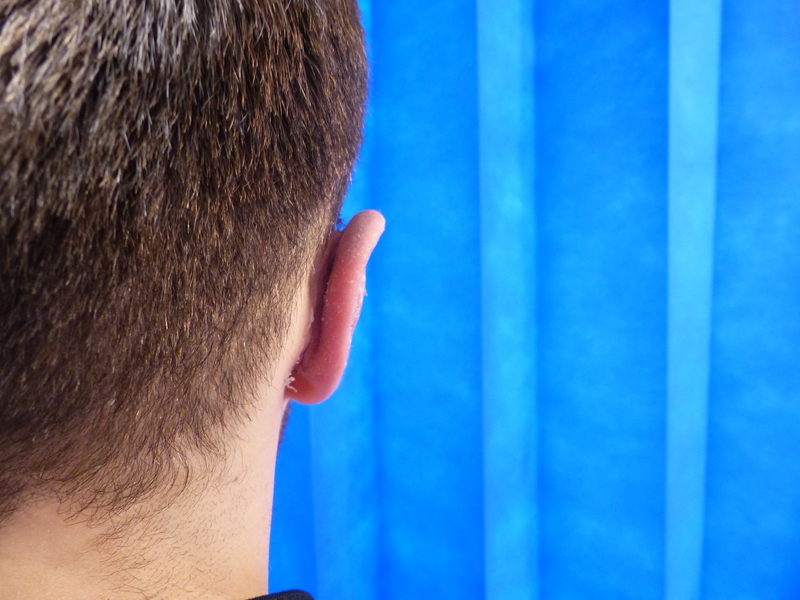 Patients are not quite sure what to expect and, after surgery, may perceive subtle irregularities which are only visible to close scrutiny but which would not be readily apparent during normal social interactions. Often the ears are not symmetrical to begin with in terms of shape and also the amount of prominence. It is impossible to achieve perfect symmetry with pinnaplasty and the operation improves the appearance of the ears rather than making it perfect. Bleeding can occur after surgery and usually responds to dressings and pressure but rarely (<1%) a return to the operating theatre is required. Infection is infrequent (<1%) and is treated with a course of appropriate antibiotics. Very rarely, a serious infection of the cartilage can develope and this has the potential to deform the ear. Overactive ('Hypertrophic' or 'keloid') scarring can occasionally occur and this can be addressed with some specific treatments to reduce the scarring. 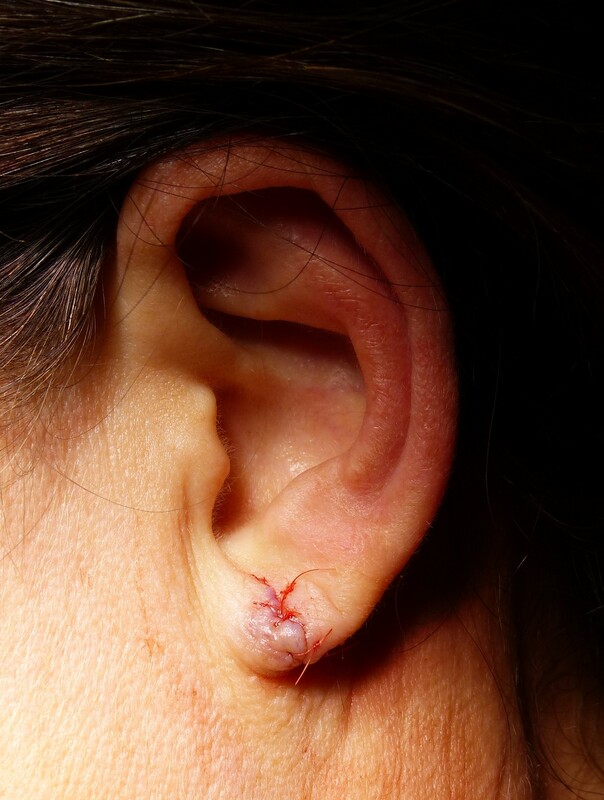 Sometimes small areas of skin on the front of the ear can be lost and this results in a wound or a scab which can be tender, can take a number of weeks to settle and can leave a mark. The ear will be quite numb for several months after surgery and may also be sensitive to the cold. 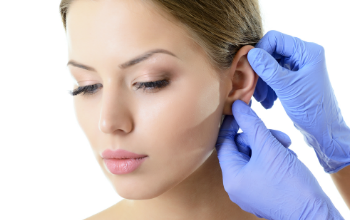 What does earlobe correction surgery involve? Male and female patients find that the earlobes lengthen with advancing years and this gives the whole ear an enlarged appearance. The earlobe can be refashioned to reduce it in size and restore a more youthful proportion to the ear. This is a local anaesthetic daycase operation. In other cases the earlobe may be split by an earring which tears out. This can be tidied and meticulously stitched to restore the earlobe. In some cases it is possible to restore the piercing hole at the same surgery; in other cases the ear will have to be pierced again 3 months after surgery. There is a current fashion for stretching earlobes and a number of patients decide that they would like the earlobe restored. It is quite possible to restore the earlobe to a natural appearance. Again this is achieved with local anaesthetic daycase surgery.